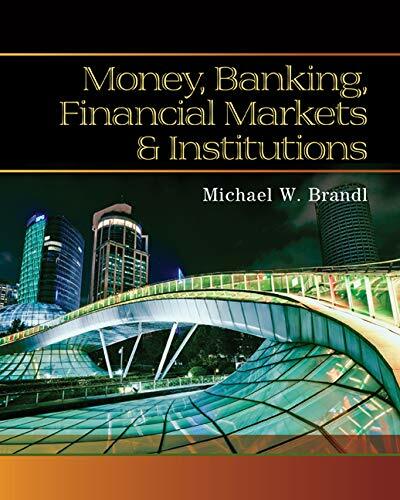 Brandl’s MONEY, BANKING, FINANCIAL MARKETS AND INSTITUTIONS brings key financial concepts to life in a clear, concise manner. You clearly see the links between macroeconomics and the money and banking course as you examine financial entities in detail, using the recent economic crisis as a backdrop. This unique, inviting book reads almost as a conversation that encourages you to discuss and debate these important concepts with friends, colleagues and future employers. 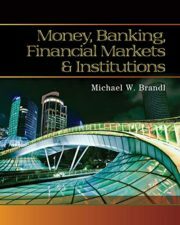 Leading MindTap and Aplia online learning and homework tools available with this book further enhance the book’s reader-friendly approach and prepares you with the understanding of banking and financial markets you need for future success.